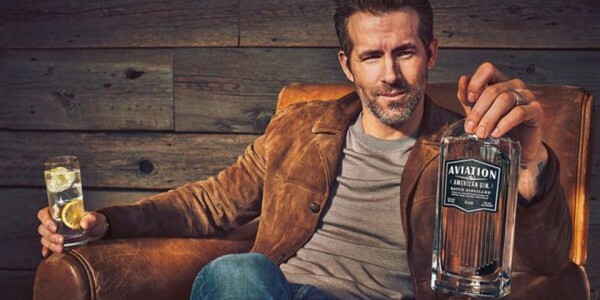 In a fairly recent acquisition, and perhaps the first celeb to invest in the juniper revolution, Ryan says of his foray into distilled spirits…”About a year ago, I tried Aviation for the first time. Since that day, I’ve spent my time finding some way to infiltrate the company. I did this for one simple reason: It’s the best damn gin on the planet”. Aviation Gin is produced at House Spirits Distillery in Portland and is a deliciously, well-balanced blend of esoteric botanicals including French lavender, anise seed & sarsaparilla resulting in a softer and smoother American-style gin, compared to the sharper London dry gins. 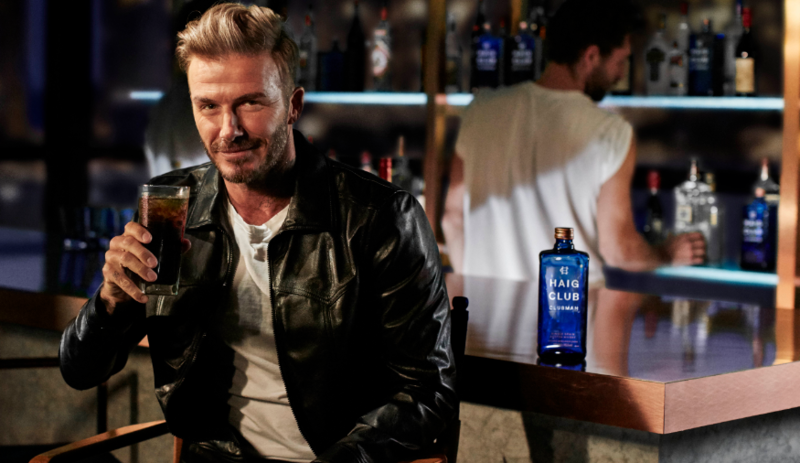 Inspired by Haig, the favourite whisky of his grandfather, David Beckham has been involved in developing the brand (with Diageo) from its conception along with business partner (and ex-Spice Girls manager) Simon Fuller. A single grain from the House of Haig, it’s a modern, stylish twist on the traditions of whisky and is aimed at whisky drinkers who wouldn’t consider themselves connoisseurs, but have a developing interest in the category - it’s highly drinkable with butterscotch & toffee flavours. The self-proclaimed Cîroc Obama (if you’re keeping up with his many guises), Diddy took an equal-share in Cîroc Vodka in 2007 with Diageo and became the face of the brand. Derived from grapes, the vodka was originally created by Jean-Sebastien Robicquet, a renowned wine maker who had been working with Hennessey to create a vodka produced from snap-frost grapes. The name is a portmanteau of the French word cime, meaning peak or summit-top, and roche, meaning rock, a reference to the high-altitude vineyards of the Gaillac region where the Mauzac grapes are grown. Dan Ackroyd is a movie legend. No doubt about it - Saturday Night Live, Blues Brothers, Ghostbusters, AND nominated for an Oscar, is there anything this man can’t do? it would seem not, as he’s also made one of the smoothest vodkas around. Filtered through 500-million-year-old quartz crystals (with spiritual qualities), as well as being unbelievably smooth, it’s also slightly sweet, startlingly clean and the perfect sipping vodka. 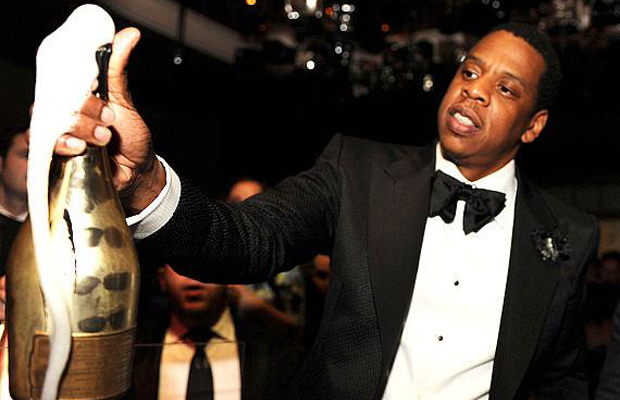 His bad influencer got the world drinking gold bottles - Jay Z swapped Cristal (after a v very public faux pas from a manager for the company who told The Economist, after a reporter asked him his thoughts about the popularity of Cristal among rappers… “"What can we do?" Rouzaud replied. "We can't forbid people from buying it.”) for Armand De Brignac in 2014 when he bought the company (although he’s had a stake since its inception in 2006). A little known celebrity alliance; Ryan Seacrest & Casa Dragones. The small-batch super premium tequila, which is only available in the UK at 31DOVER, was created in 2007 after a chance meeting between Bob Pittman, founder of MTV and Gonzalez Nieves, an executive at Jose Cuervo at a party. They brought outside investors in, including Seacrest, and the rest is history. The liquid itself comes in hand-engraved bottles and has won countless awards, including a glowing review from Oprah - and that’s just about the highest praise in the land. Upon the announcement of their split, rosé lovers across the world waited with baited breath to find out the fate of the beloved Château Miraval - but luckily the duo apparently continue to use Miraval “as an investment for their children.” A delicious blend of old vine Cinsault and Grenache, Miraval boasts delicate aromas of raspberries, peaches, and white flowers with an elegant and beautifully balanced palate. No matter what the fate of Brangelina, at least we’ll always have Miraval.